Fur coat for women. This jacket is perfect for any event or day, with a smart casual design. This coat is made of nappa leather, the exterior is resistant to moisture and dirt, and the interior is created by the fine fluffy merino lambskin trimmed the thickness of 8 mm. The waistcoat has a hood made of merino lamb fur, so the coat’s cuffs. 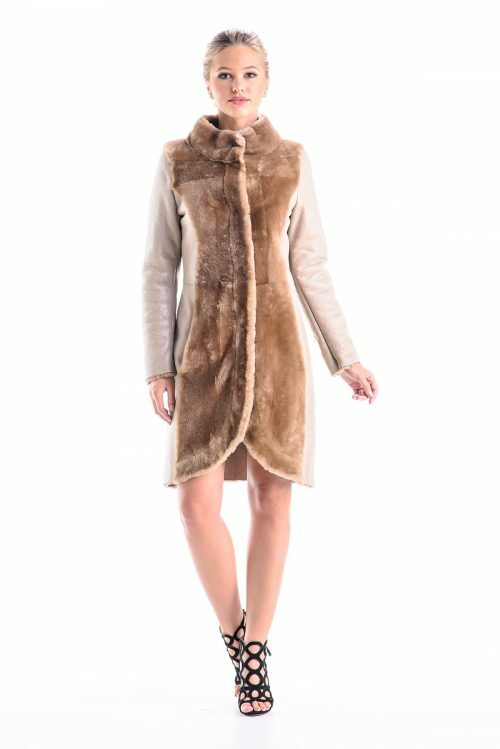 This natural lamb fur coat is made using four buttons and a belt made of lamb nappa leather with a buckle. This garment is available three colors: brown, black and light brown.